What is an Agricultural Supply? An Agricultural waterwell can vary in size depending on the water demand from the farm. There are many factors that can effect this, including number of cattle, power washers, farm houses, sheds, etc. Why are Agricultural Supplies installed? Agricultural water supplies have been known save to farms throughout scotland thousands on water rates per year. 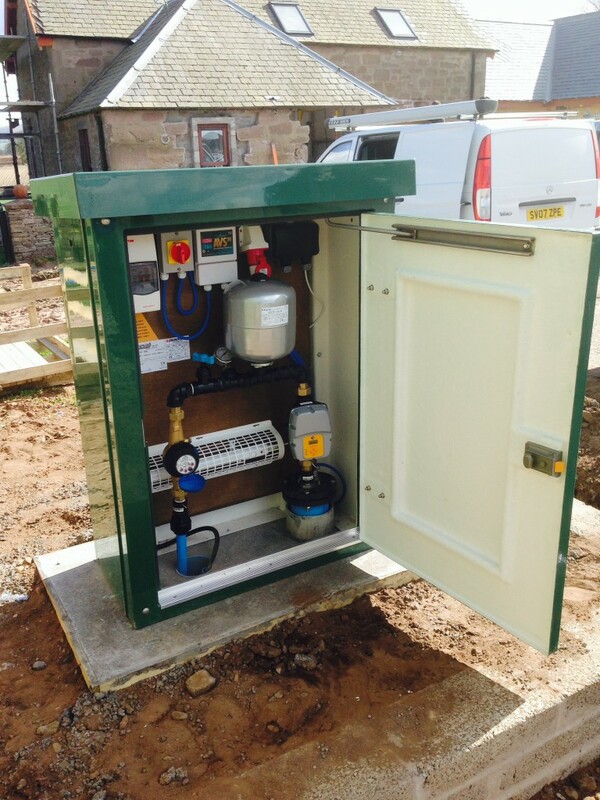 Raeburn Drilling & Geotechnical Ltd primarily work on farms throughout Scotland and install around one well per week. The first step towards your new supply is to obtain a Geological report. We recommend that you do this in order to secure an accurate estimate. The report will tell you the probability of finding water and the quality you might expect. It provides key information about drift and drilling depths that will allow your drilling contractor to estimate more accurately. When you receive your report and possibly have your location divined – we can then proceed to price the job. Reports are not essential but are strongly advised. Raeburn Drilling & Geotechnical Ltd work in conjunction with a water diviner as well as the BGS (British Geological Service). We can provide you with contact details of both. Upon acceptance we can then progress to drilling the well. Your project manager will be available every step of the way and will answer any questions you may have.